Use our code to knock even more off Hitman 2. If you’re trying to cram in some frantic, last minute shopping before the holidays, maybe check out the Fanatical Winter Sale. It’s live now, with big discounts and flash sales. To shave off a bit extra, you can use the FANATICAL10 coupon code. On top of that, PC Gamer readers get an exclusive Hitman 2 discount. There are lots of deals to trawl through, but look below and you’ll find some of the best ones, all of them with bigger discounts than in the Steam sale. These are all including the 10 percent off coupon, so make sure you use that at checkout. 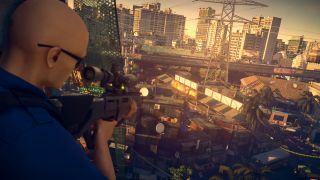 If Hitman 2’s been on your radar—it should be, as it’s great—then good news! Use the code PCGAMER41 and you’ll get a whopping 41 percent off the regular price of each edition. This includes the regular version of Hitman 2, Hitman 2 Silver Edition and Hitman 2 Gold Edition. That should give you plenty to do over the holidays.